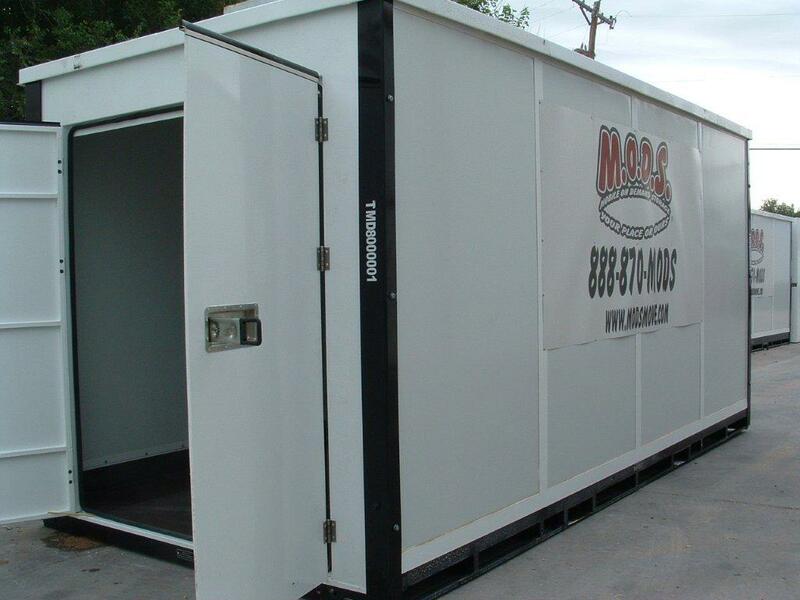 Portable containers are offered in 8’X8’X16′. 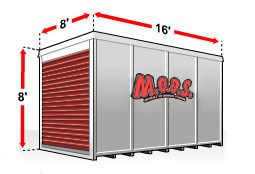 The storage containers are weather resistant and are easily loaded at near the ground level instead of the normal requirement of ramps for moving truck rentals. We deliver the storage container to your location, you fill the container, and we then move the portable container to your new address or store it for you at our location. Whatever the storage sizes may be, our team will help you move your containers from point A to point B. It’s that easy. Please visit the other pages on our website for additional information about storage containers and dumpster/debris rentals. 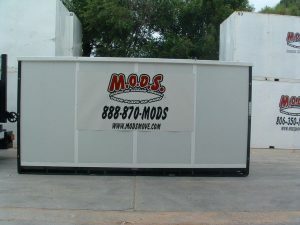 The About Mods page has additional photographs of how the portable storage containers are delivered and setup. Always gently lifted with our “Level Lift System”. Never tilted, never rolled off a truck. We deliver portable storage containers of within Amarillo, Fort Worth, Arlington Tx, Oklahoma City, Edmond, Norman OK and surrounding cities. Please call us for more information or email us for a quote. 8’X8’X16′ May hold the contents of approximately a 1500 square foot home.